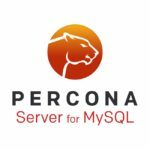 Percona announces the release of Percona Server for MySQL 5.7.23-23 on September 12, 2018 (downloads are available here and from the Percona Software Repositories). This release merges changes of MySQL 5.7.23, including all the bug fixes in it. Percona Server for MySQL 5.7.23-23 is now the current GA release in the 5.7 series. All of Percona’s software is open-source and free. The max_binlog_files variable is deprecated, and the binlog_space_limit variable should be used instead of it. The behavior of binlog_space_limit is consistent with the variable relay-log-space-limit used for relay logs; both variables have the same semantics. For more information, see #275. Starting with 5.7.23-23, it is possible to encrypt all data in the InnoDB system tablespace and in the parallel double write buffer. This feature is considered ALPHA quality. A new variable innodb_sys_tablespace_encrypt is introduced to encrypt the system tablespace. The encryption of the parallel double write buffer file is controlled by the variable innodb_parallel_dblwr_encrypt. Both variables are OFF by default. For more information, see #3822. Changing rocksdb_update_cf_options returns any warnings and errors to the client instead of printing them to the server error log. For more information, see #4258.
rocksdb_number_stat_computers and rocksdb_rate_limit_delay_millis variables have been removed. For more information, see #4780. A number of new variables were introduced for MyRocks: rocksdb_rows_filtered to show the number of rows filtered out for TTL in MyRocks tables, rocksdb_bulk_load_allow_sk to allow adding secondary keys using the bulk loading feature, rocksdb_error_on_suboptimal_collation toggling warning or error in case of an index creation on a char field where the table has a sub-optimal collation, rocksdb_stats_recalc_rate specifying the number of indexes to recalculate per second, rocksdb_commit_time_batch_for_recovery toggler of writing the commit time write batch into the database, and rocksdb_write_policy specifying when two-phase commit data are actually written into the database. The statement SELECT...ORDER BY produced inconsistent results with the euckr charset or euckr_bin collation. Bug fixed #4513 (upstream #91091). InnoDB statistics could incorrectly report zeros in the slow query log. Bug fixed #3828. With the FIPS mode enabled and performance_schema=off, the instance crashed when running the CREATE VIEW command. Bug fixed #3840. The soft limit of the core file size was set incorrectly starting with PS 5.7.21-20. Bug fixed #4479. The option innodb-optimize-keys could fail when a dumped table has two columns such that the name of one of them contains the other as as a prefix and is defined with the AUTO_INCREMENT attribute. Bug fixed #4524. When innodb_temp_tablespace_encrypt was set to ON the CREATE TABLE command could ignore the value of the ENCRYPTION option. Bug fixed #4565. If FLUSH STATUS was run from a different session, a statement could be counted twice in GLOBAL STATUS. Bug fixed #4570 (upstream #91541). In some cases, it was not possible to set the flush_caches variable on systems that use systemd. Bug fixed #3796. A message in the MyRocks log file did not clearly inform whether fast CRC32 was supported. Bug fixed #3988.
mysqld could not be started on Ubuntu if the database recovery had taken longer than ten minutes. Bug fixed #4546 (upstream #91423). The ALTER TABLE command was slow when the number of dirty pages was high. Bug fixed #3702. Setting the global variable version_suffix to NULL could lead to a server crash. Bug fixed #4785. Find the release notes for Percona Server for MySQL 5.7.23-23 in our online documentation. Report bugs in the Jira bug tracker. 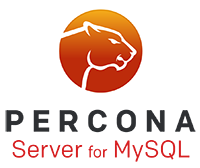 The post Percona Server for MySQL 5.7.23-23 Is Now Available appeared first on Percona Database Performance Blog.